Super Mario and Luigi Party Decorations. 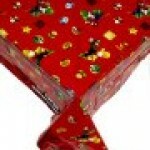 Pack of 16 Party Napkins from Supe..
Super Mario and Luigi Party Decorations. Pack of 6 Super Mario Brothers Inv..
8x Nintendo Super Mario Brothers Party Cups Pack of 8 disposa..
Super Mario and Luigi Party Decorations. Pack of 8 disposable party plates..
Super Mario Brothers Party Table Cover Super Mario Brothers disposable party Table Cover. ..